Finally dipping below the heralded $1 per GB mark, it appears overall SSD prices have been on a precipitous decline over the past year. This observation comes from The Tech Report who analyzed data from camelegg.com, a website dedicated to tracking prices at Newegg. Their overall findings show that Crucial, Corsair, OCZ and Samsung SSDs have been mostly in line with price cuts for their 240GB and 256GB offerings. In many cases, these SSDs have shed more than half their original cost since launch. Meanwhile, 120GB and 128GB SSDs also fell at similar although slightly more modest rates. As of the past week, many 120GB and 128GB SSDs are now hovering under the $120 mark, making them viable alternatives to traditional hard drives for a growing segment of consumers. Despite the overall trend of falling prices, Intel has continued to treat their SSDs quite differently than competitors. Prices on Intel's drives have come down only slightly and remain stagnant for long periods of time. 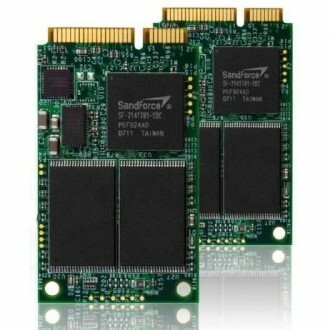 Well-known industry vendors like OCZ have typically based their designs on third-party controllers, like those by Sandforce and Marvell. Many of those offerings come in 4-channel and 8-channel configurations with varying numbers of chips, typically in multiples of 8. Intel, on the other hand, is the only company I'm familiar with that offers its own proprietary controller with a 10-channel design. But, even Intel has begun using third-party controllers in some of its SSDs, so maybe we'll see better overall prices from Intel in the future. Another statistical peculiarity are smaller and monstrously large SSDs. Drives which were 60GB or less are markedly more expensive per gigabyte -- many hit $100 for half the storage of a slightly higher priced 128GB SSDs. Although The Tech Report doesn't touch on 480GB+ SSDs, some anecdotal price checking reveals that, overall, there is a premium to be paid for solid state drives with unusually high-capacities as well. For now, 128-256GB seems to be the sweet spot.